Connect you with your customers personally. Boost engagement and increase sales. 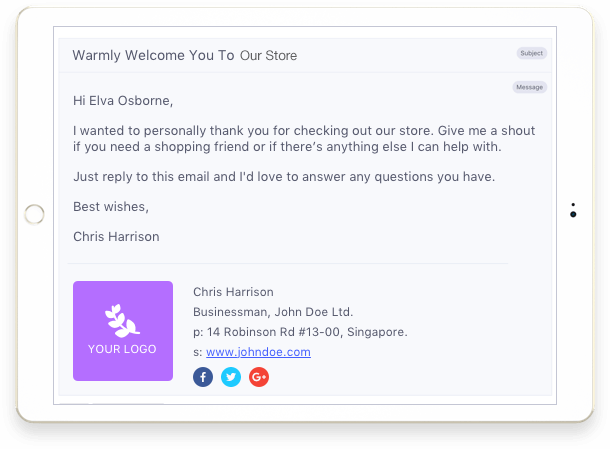 Get to know why 39,800 eCommerce store owners are using Happy Email to make their customers happier. owners are using Happy Email to make their customers happier. Recent statistics by Experian show that “welcome emails generate 4 times the total open rates and 5 times the click rates compared to other bulk promotions”. 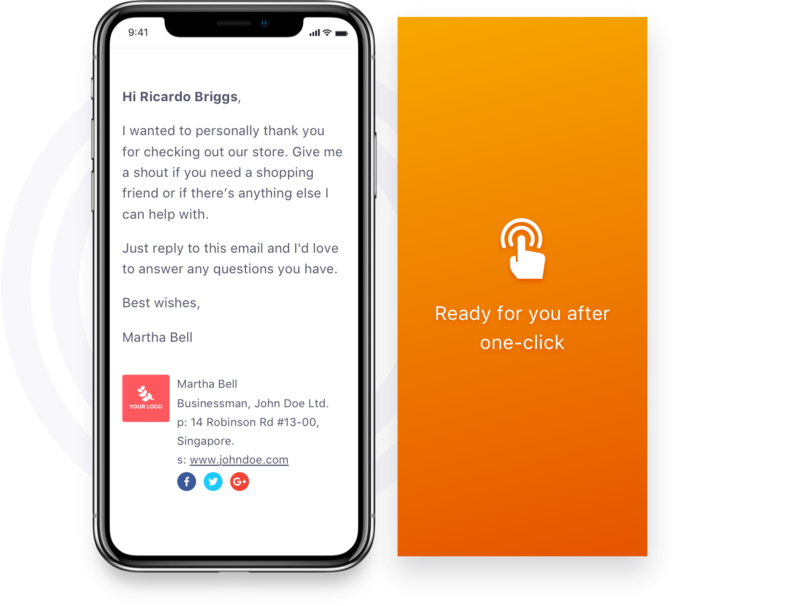 Born to boost customer engagement, Happy Email helps to send a thank-you email from You to your customers automatically, 30 minutes after they make the first purchase or sign up for a new account on your store. You might wonder “what should I write in the emails to my customers?”. With Happy Email, everything is automated. Emails will be carefully written based on your brand and info. Thus, you won’t need to worry about anything else. Just install the app and it will take care of the rest. Welcoming customers with an email from the founder/ store owner is similar to saying hello to your guests when they arrive at your party. Especially, a personal welcome email sent from one of the founders helps to establish trust and cultivate a relationship as it is coming from a real person. Happy Email helps you to make a great first impression on your customers, boosting customer loyalty and satisfaction. A personal welcome email sent from one of the founders helps establish trust and cultivating a relationship as it is coming from a real person. You can build trust with new customers and encourage future purchases then. By using Happy Email, you’ll have more chances to turn them into loyal customers. A welcome email is an essential element of successful email programs. It sets expectations for the next emails they’ll be getting in their inboxes from your online store. "Excellent app. You can edit the email template a bit more using some simple html." "Great app! 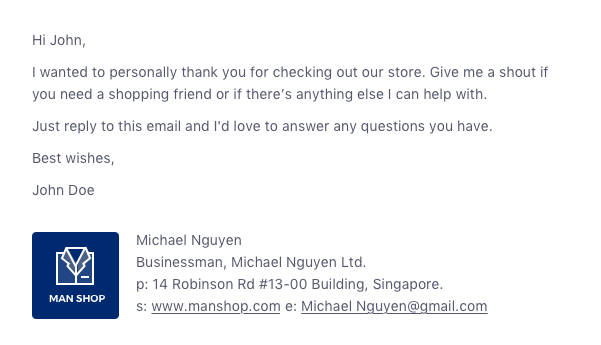 Really useful in connecting with customers as soon as they sign up. Customers love the immediate connect and definitely helps in conversions." "Amazing app would tell everyone i know who has an online store." "Excellent App to get back to the customers. Much appreciating." "Good Idea For Having a direct Contact with the Customers"